Takeaway: Join us Wednesday as we review the good and the bad on newly IPO’d AVLR. 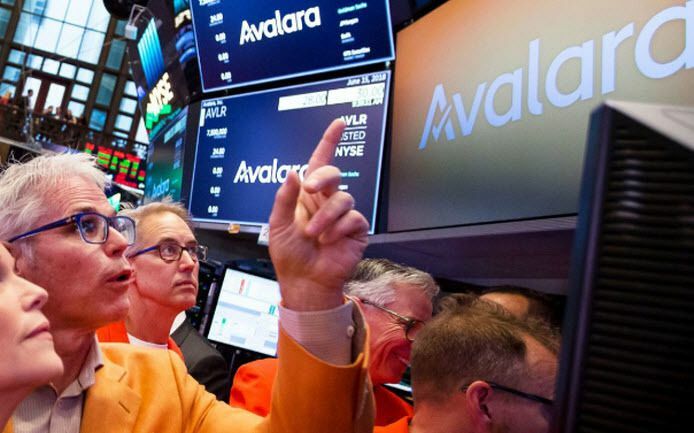 Editor's Note: Our Tech analyst Ami Joseph added Avalara (AVLR) to his Best Idea short list last week. His research has uncovered a large number of yellow and red flags. Below is a taste. He sees over 30% downside ahead. He will explain his thesis during an institutional call this Wednesday at 2:00pm ET. Email sales@hedgeye.com for access. The chart shows a strange annual reversal in the source of incremental revenue. 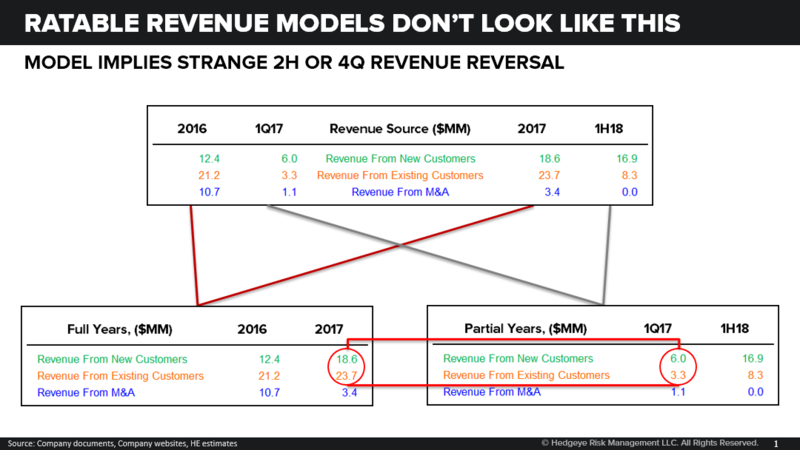 In the beginning of the year, it appears that revenue from new customers dominates the mix, but by year end, revenue from existing customers dominates the full year mix. 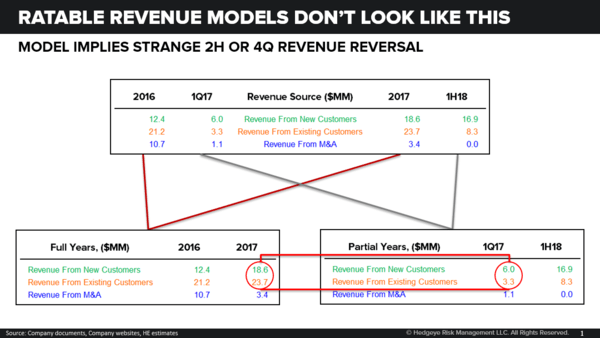 While we think we understand the boost to ‘existing’ based on year-end pricing and year-end transaction tallies that re-state backward contracts, why would implied revenue from new customers plummet in 4Q or even maybe partially reverse? Join us Wednesday to review.